This Saturday Blackwater battled both the weather and NOVA Roller Derby. After some altercations caused by the snow, both teams got right down to business. NOVA took the early lead before Blackwater came back later in the first half to take the lead. A second half surge by NOVA pushed the final score to 129- 153 in favor of NOVA. Both teams fought hard and it was a close contest all night. Thank you NOVA for being such great competition and such delightful guests in our home rink. What’s up next for Blackwater: March Attacks! 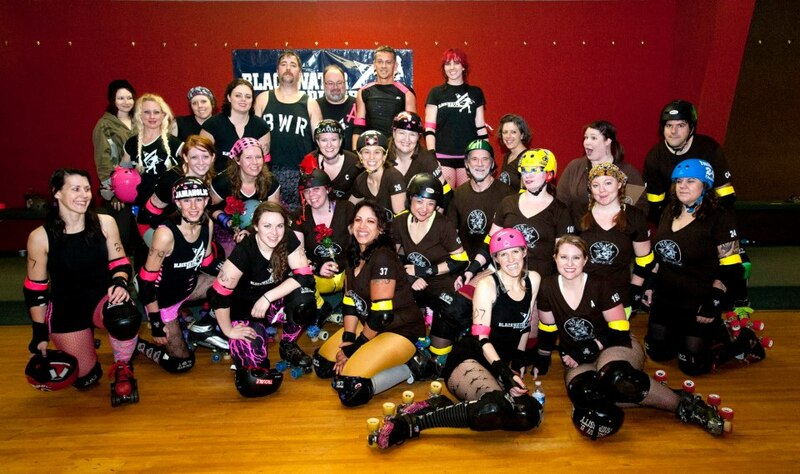 March 23rd the Blackwater Rollers will be taking on the NRV Bruisin’ Burgs. More details to come! **Don’t forget that we’re always looking for new skaters! The first practice is free so come out and see us at AJ’s Skateworld on Tuesdays, Thursdays and Sundays 6:30-8:30.